The insanity of this political moment is difficult to fathom. Even if the latest employment figures underestimate job creation, as many experts expect, we're still in the middle of a slow, tentative economic recovery. At this pace, it will be two or three years, at best, before employment returns to what it was before the recession. Meanwhile, low tax revenues are forcing state and local governments to cut spending, throwing public workers out of work (and onto the unemployment line) while reducing all kinds of public services. Oh, and gas prices are rising. That could undermine consumer confidence, such that it is. The classic response to this situation would be for the federal government to enact the kind of emergency spending it did during the first two years of the Obama Administration, both to boost growth and to sustain public programs. But somehow, in Washington, the debate is over whether to cut spending for by a lot (as the Republicans want) or by a more moderate amount (as Obama has proposed). Fortunately some Democratic leaders recognize that. 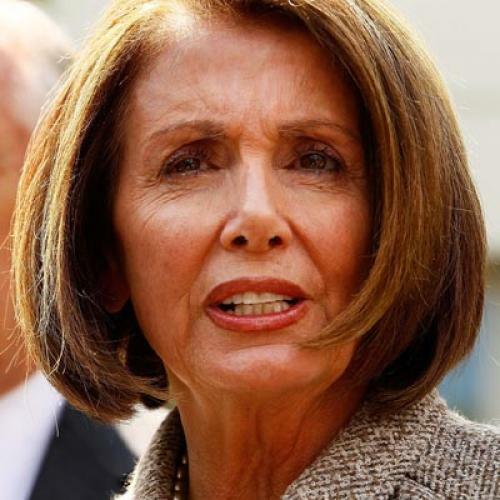 In the debate over how to finance government operations for the rest of the fiscal year, House Minority Leader Nancy Pelosi has warned that “Any cuts proposed by Democrats or Republicans must be measured by whether they create or lose jobs and whether they strengthen or weaken the economy and the middle class." [Emphasis mine.] Senate HELP Chairman Tom Harkin has urged the White House to defend discretionary spending programs more vigorously and to accept cuts, if necessary, only as part of a broader deal that also raises revenue and reduces some spending on entitlements. I want to see proposals like what Bill Clinton did in 1995. He said we're not going to cut education, we're not going to cut women, infant, and children programs, we're just not going to cut those specific things. I want to see the President out there using his bully pulpit...talking about what those specific cuts are out there and then to advocate, saying 'Look everything is on the table.'" Obama's gambit, of course, is to gain credibility with skeptical voters by embracing at least some cuts at the outset. (He's proposed some cuts in his budget for fiscal year 2012 and, presumably, will accept some as part of a deal on finishing fiscal year 2011.) I honestly don't know if that's the right political move or not. Right now, the Republican message is, "Give us all of the cuts we want, or we'll shut down the government." And next month, the Republican message will be, "Give us more cuts we want, or we'll block the debt limit and destroy the economy on purpose." And later this year, as the debate over next year's fiscal budget heats up, the Republican message will again be, "Give us all of the cuts we want, or we'll shut down the government." This is, in other words, a multi-tiered process. Dems are already prepared to give the GOP all kinds of cuts this year -- the current White House offer is over $10 billion in cuts -- but does the party have a plan for the next round of demands? And the one after that?